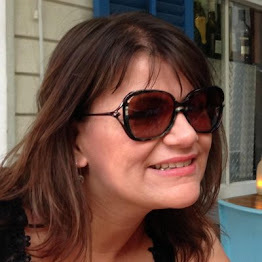 My friend has recently become a grandma again and is looking to decorate her spare bedroom. 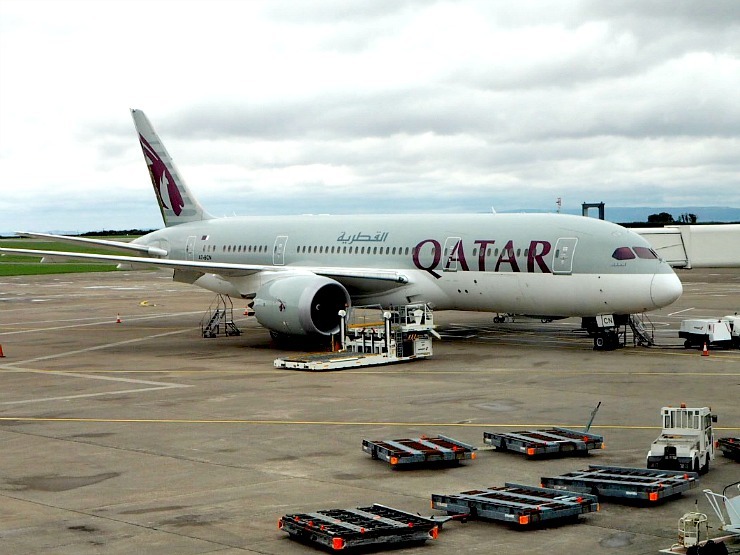 As her daughter-in-law is looking to go back to work she will be looking after her new baby grandson on occasion and also her granddaughter who is two. She has therefore asked me to help her plan her new nursery and look for some cute furnishings. Here are some design ideas for a baby and toddler bedroom. This super cute bear themed bedroom is decorated with a gorgeous soft 'Buddy Bear' rug and neutral bear themed curtains in beige, both from Next. A design suitable for both girls and boys. The 'Bailey Sleigh' cot bed by specialist children's furniture retailer Room To Grow has a classic stylish design that can grow with the child. It easily converts from a cot to a toddler bed to a day bed. What an excellent idea! With three base heights, this cot bed is super value for money and includes a teething rail too. It also look supremely well made. A great addition to any nursery. For real girlie girls this pink butterfly duvet cover from Ollie and Leila is super sweet and made of soft 200 thread count cotton that won't irritate a little ones skin. A pretty design that any little girl would love. 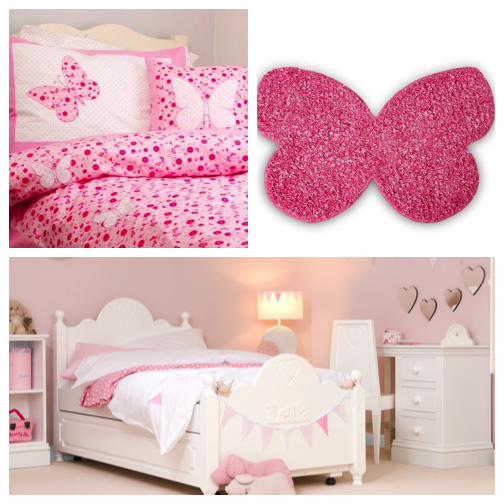 To match the butterfly theme, this rug from Next is that perfect pink accessory. The beautiful 'Leila' heart petal bed from Ollie and Leila can be personalised with your child's name at the base and has a heart motif. What little girl wouldn't love to have their name on their own bed? What is extra special about this bed is that it is made in the UK too, and with a 5 year guarantee and choice of colours too, you really can't go wrong. 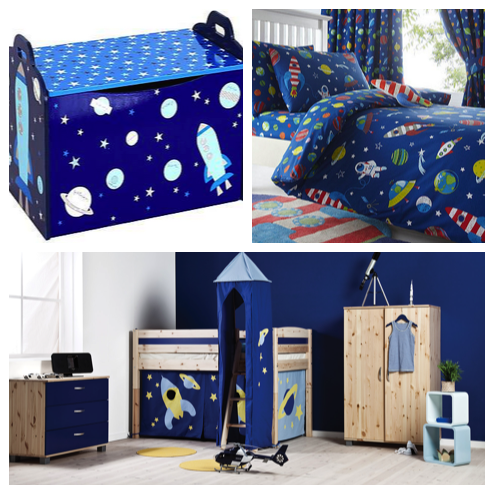 To fit with a space theme, the kids 'Space Mission' toy box from Dunlem is great for storing all toys and clutter away. Made from solid lacquered wood, it is a fun accessory to any bedroom. The space duvet set from Debenhams has a reversible print and is a super choice for all the budding astronauts in the world. This 'Thuka Trendy 4' cabin bed from Room To Grow is made from solid European pine whilst the optional play tent is brilliant for making dens. Another add on is the tower which is perfect for imagining adventures in space. Available in a range of colours from white and natural to blue and purple - I think you will agree that this bed is very versatile. Tell me, what do you think of the items I have chosen? Love the cabin beds! I have twins who would love them or bunk beds but they're not quite old enough yet! I love the fact that the bed can be personalised, it is a great touch. That is a good point Tori. I guess you have to go with a bed that is fairly plain if you want it to grow with the child. I love that rocket room, so bright and vibrant, my little boy would've loved that in the days before he discovered football. Yes, it is really bright and vibrant as you say! The Sleigh Cot Bed is amazing, I love it! It's great to have furniture that grows with the child. I know it's a great bed that grows with the child. Great bedroom ideas here. I a, looking forward to refurnishing my toddler's room. My son would just adore the space themed items, it's a great idea and would suit both boys and girls. Yes it would actually Daniella. The space themed bedroom is adorable! Aaaaaaaah, I really want to redecorate, but, I have to wait for now. My kids share, but within a year ...hopefully, they will have their own rooms. I need that Thuka Trendy 4 Cabin Bed for Hayden. I don't know where I would put it as it looks massive but oh my. Thanks for sharing this hun. It looks a really cool cabin bed doesn't it? Love the fact that you can make it into a den. Any idea where I could find the one in the picture? Hi Leigh, try this http://www.roomtogrow.co.uk/product/thuka-trendy-4-shorty-cabin-bed/ !